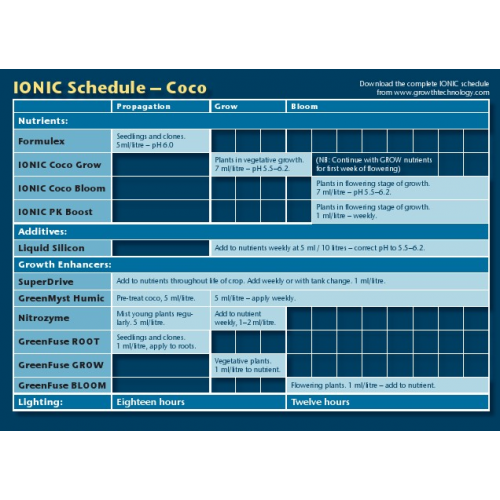 Ionic Coco Bloom should be used during the flowering or fruiting phase of your plants lifespan, it is best to give it extra nutrients to assist with healthy growth. Ionic Coco Bloom is exactly what you need. This easy to use 1-part nutrient plant booster gives off very pleasing results. 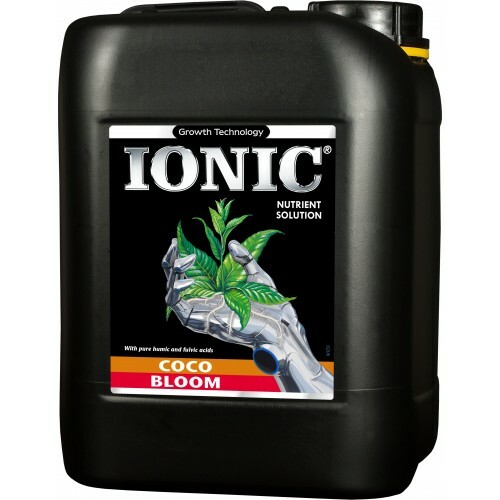 Ionic Coco Bloom is best used after using the Coco to grow your baby plants. And dependent on where you are in the growth phase you need to measure out your mix correctly. 7ml per 1 litre of water should be sufficient, but again, is dependent on where you are in the growth pattern of your plant. Neither you want it too strong nor too weak! For accurate measurements, use a beaker or syringe and you can go a step further with the Bluelab Truncheon, which can check on the TDS, CF, EC, and PPM levels. The E.C. level for plants grown on Coco is about 1.5, so you may need to check the strength before applying this product. Ionic Coco Grow Use Ionic Coco Grow during the growth or vegetative stage of your plants lifesp..